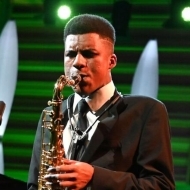 Saxophonist Xhosa Cole was the worthy winner of the prestigious BBC Young Jazz Musician of the Year in 2018 and, as a result, he is in high demand. He joins the ever popular Zing Bar drumming legend Stevie Smith with Thom Whitworth and Angus Milne completing the lineup to get Jazz week of to a flying start. This is free gig so get there early to see this rising young star appear in Lincoln.